Before we dive into my review of Gillian Flynn’s Sharp Objects, let’s look at the importance of the importance of the debut novel. Debut novels. There’s something special about them, isn’t there? Granted, we’ve all read our fair share of first book flops. However, the debut novel often provides a unique view into the writing of an author and can reveal quite a bit of talent (or lack thereof). As a Stephen King fan, the book Carrie will never be touched for me. Never. True, King’s stories have matured in their plotlines and appeal, but there’s something magical about that first book–that moment before fame, which shapes the rest of a career. Full disclosure, I recently released my debut novel, so I might be tainted towards these initial stories fettered by nothing but an author’s struggle to make her mark on the literary horizon. Gillian Flynn’s Sharp Objects fulfills all my desires for a first offering. It’s a solid page turner with relatable characters and plenty of intrigue with Flynn’s signature blunt prose. The recent success of Gone Girl as both a book and a major motion picture have thrust Flynn into public awareness. After seeing the movie in recent months, I was stunned with the precision of the story and her ability to keep my heart pounding and my brain guessing. I left the theater hungry to check out the author’s other works. 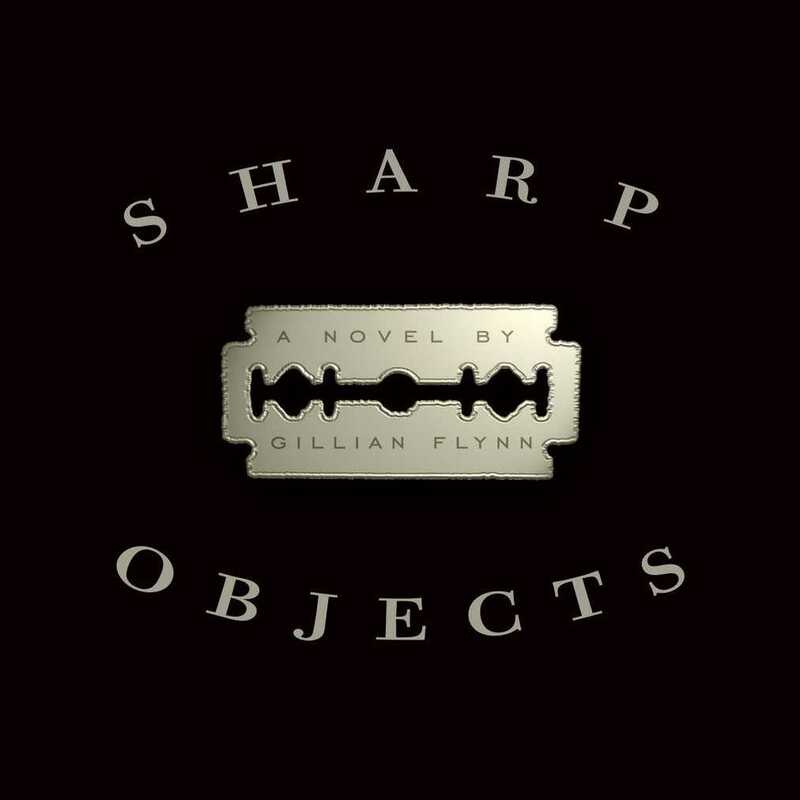 Gillian Flynn’s Sharp Objects is the first book in the Flynn canon. It seemed like a great place to start. Gillian Flynn’s Sharp Objects follows Camille Preaker, a big city reporter tasked with investigating the murder of a preteen girl in a small town. But there’s a problem. This small town is where Camille grew up, and a joyful homecoming for her is nowhere to be found in Wind Gap, Missouri, due to many troubles we discover as the story unfolds. Camille struggles to reconnect relationships from her past that she intentionally neglected but now must use to fulfill the demands of her job. Among other past acquaintances, we learn her mother is not only cold towards Camille but has certain eccentricities that have contributed to many of the inner demons that our hero is fighting, such as her lifelong battle with cutting. As the reporter learns the stories of the recently murdered child and several others in the town’s history, she must overcome these struggles to find answers. Why have children been disappearing, only to be found dead days later? What secrets has Wind Gap been hiding? And how has Camille somehow been pulled back to this place only to find herself personally entrapped in the horrifying ordeal? As a reader, I instantly connect with Camille. She is believable as a main character, and Flynn is masterful at making the reporter’s struggles, many of which are quite devastating, completely accessible. Camille’s struggle with cutting and the many pains of her past would seem difficult for many authors to work into a horror story with respect and honesty, but Flynn does as much beautifully. Gillian Flynn’s Sharp Objects starts with an exciting yet followable pace and, save for a few minor lulls, captures my attention and keeps the book in my hands until the wee hours of the morning. Some of the struggles between Camille and her past acquaintances seem to drone on a bit at times, but Flynn weaves them together in the arc of the story with ease and covers the book’s shortcomings by her ability to carry the story with clear and blunt writing. Though the book is clearly a first offering as evident by some lack of story polish, it captures the best of an unseasoned author’s innocence. It also shows willingness to wrestle with difficult topics to tell a moving story without fear of publisher demands or public expectations. Far too often we see those factors creep into the later books within an author’s body of work. Would readers of my works enjoy Gillian Flynn’s Sharp Objects? Most definitely. Flynn and I share a passion for an exciting story that is willing to face the horrors of life head on. Read away, friends.